Close contact with AEM will give you the best possible support and product info. Follow our Facebook page for updates and tours of the factory. You won´t find low quality parts here, we only use/sell the best parts on the market. Low quality parts will always make your build harder and cause future problems, not worth it. We can often guide you to a better option that will fit your wallet. Beside web sales we also do consultant missions and will spend a lot of time on the road. HQ in Varberg Sweden but might be in your area if you need parts quick so don´t hesitate to ask for on-site support. We ship worldwide! The current build is a 2002 Miata MX-5. Looked for a lightweight RWD car as a base and finally found the perfect fit. Powered by a fully forged Volvo T6 engine, beefy BMW gearbox, Mustang 5.0 diff and axles to reach the goal. Follow the build on Facebook! To make it easy to understand and read we will try to keep the product descriptions short. If you want more technical information, just ask. We sell all AEM parts but will only have the parts we stock on the site for now. Over 20 years of engine builds and performance upgrades, many custom parts and new solutions. From Volvo FWD Drag Racing to S2000 Turbo Street Build. We will manufacture and sell some of those solutions here to make your life easier. The base will be fuel and boost but also engine parts and complete concepts, contact us if you have any questions.. 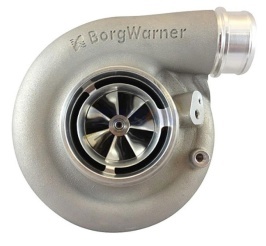 The mighty Borg Warner SX-E Billet, comes in many sizes to fit your build!